32 - Black Hole BONGO! by What The If? From the pre-Harry Potter Scottish Enlightenment to public relations wizardry of Galileo to the classic anchor pairings of Fox News to genius of SETI and.... badda-BING we find ourselves asking What The IF there are alien civilizations who communicate using GRAVITY WAVES? They gotta bang a whole lotta BLACK HOLES together -- just to use A-Date for a fun Friday night! 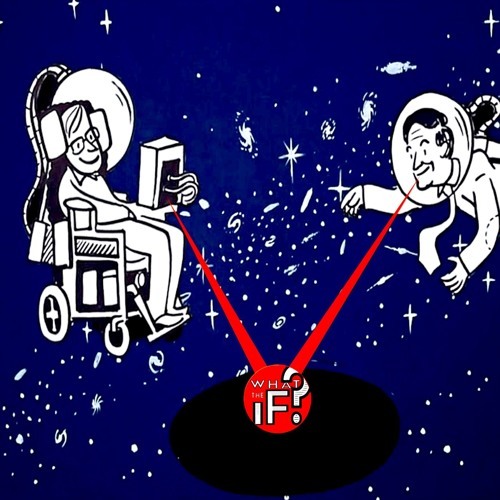 Join Grab your BONGOS and let's follow STEPHEN HAWKING to the clambake! TGIF, it's WTiF!!! Download 32 - Black Hole BONGO! Users who like 32 - Black Hole BONGO! Users who reposted 32 - Black Hole BONGO! Playlists containing 32 - Black Hole BONGO! More tracks like 32 - Black Hole BONGO!